Home, Door and Window Products specializes in steel doors, and we can ensure you the highest quality, the best service, and affordability. We have been selling steel front doors and steel exterior doors for over 30 years, and we have had over 150,000 satisfied customers. Home and Door is considered the place to go for the best steel entry doors. We also carry the Therma-Tru brand, and they are recognized as one of the most durable and weather resistant steel doors on the market. The steel doors are energy efficient and cost effective, saving you money down the line. Home and Door can make our Plymouth customers customized steel doors for their homes. Plymouth has 9,132 residents and is located in Wayne County, Michigan. The City of Plymouth’s Recreation Department and Cultural Center offers a wide variety of activities for all ages. 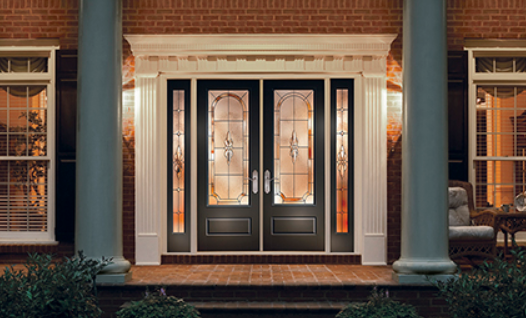 When the residents of Plymouth think about purchasing steel entry doors, their first thought is Home and Door. Friends and family recommend Home and Door in Plymouth who has purchased our superb steel doors for their homes and businesses. Our beautiful steel exterior doors are high quality yet reasonably priced. Home and Door services both residential homes and commercial businesses with steel entry doors and steel exterior doors that will increase the security and beauty of your home or business. If you are looking for a quality steel door with unique features, come check out our beautiful showroom showcasing all of our fabulous steel doors. Home and Door has innovative ideas, information on the newest technology, and full support from our expert sales team. Home, Door and Window Products offers quality over quantity call us at (248) 399-9900 for your Free in-home estimate!